Mrs. Jonnie Ruth Powell, 85, passed on to her eternal home and was divinely restored Monday, January 21, 2019. Mrs. Powell is survived by her beloved husband of 65 years, James Wallace Powell; two children: Kathy Farquhar (Andy) and Wes Powell (Marlene); three grandchildren: Jamie Farquhar (Andrea), Charlie Farquhar (Jenna), and Robbie Farquhar (Sherry Leigh); one great-grandchild, Andrew Farquhar; brother-in-law, Billy Powell (Francis); her sister-in-law, Mary Bankston; and many loving nieces and nephews. Mrs. Powell started working for the law firm of Walker & Hill in 1953; the same year she wed her high school sweetheart, Mr. Powell. After many years of service at Walker & Hill, she went to work for the Lee County Circuit Clerk’s Office. From there she moved into the position of judicial assistant for Judge Richard Lane. She retired in 2006 and enjoyed many exciting adventures and vacations with her husband afterwards. Not only was Mrs. Powell a member of the Pilot Club, but she was also a long time, and heavily involved, member of the First Baptist Church of Opelika. She even remained an active member of her women’s Sunday school class until physically unable to attend their meetings. Mrs. Powell was a true and loyal friend, loved her family deeply, and will be greatly missed by many. 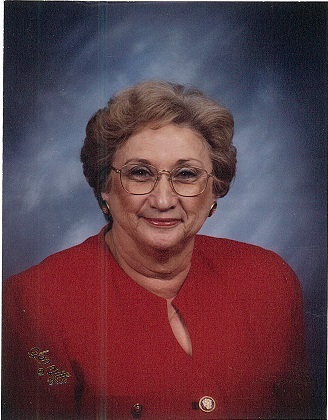 Funeral services for Mrs. Powell will be held Friday, January 25, 2019 at 2:00 p.m. CST, at Jeffcoat-Trant Funeral Home. Visitation will be held the evening prior, Thursday, January 24, 2019 from 6:00-8:00 p.m., CST. Dr. Mike King will be officiating. In lieu of flowers, donations can be made to the First Baptist Church of Opelika at 301 South 8th Street, Opelika, Al.